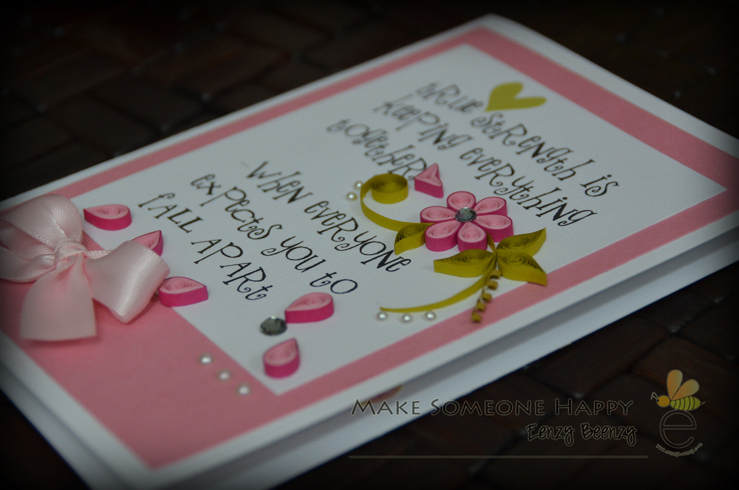 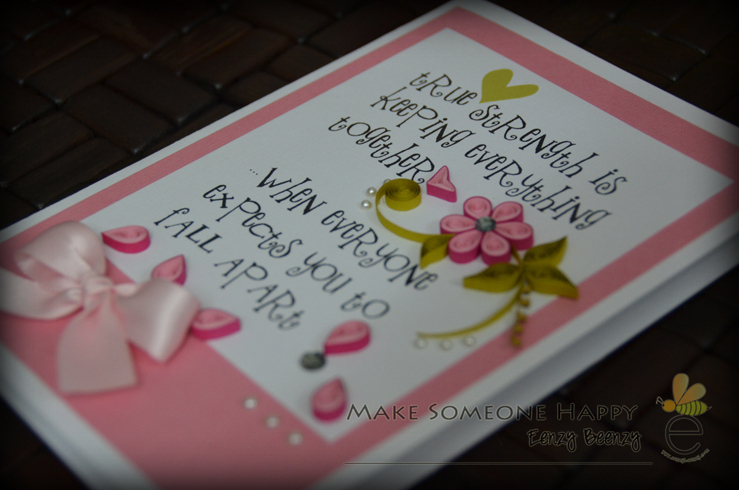 it touches my heart deeply and that the something I make will bring a slightest smile to someones who needs the most! I hope she is able to keep herself together during this hard time! 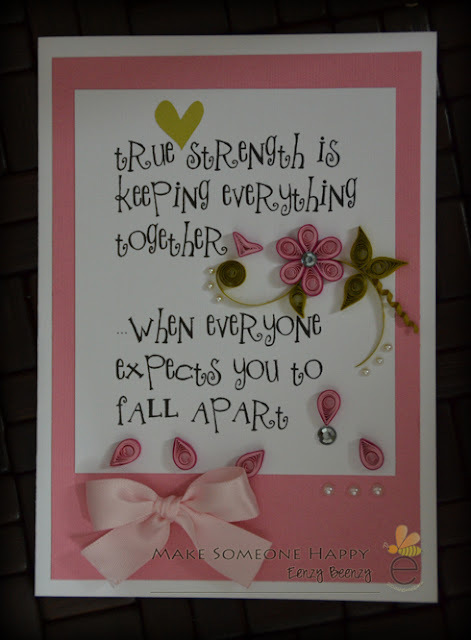 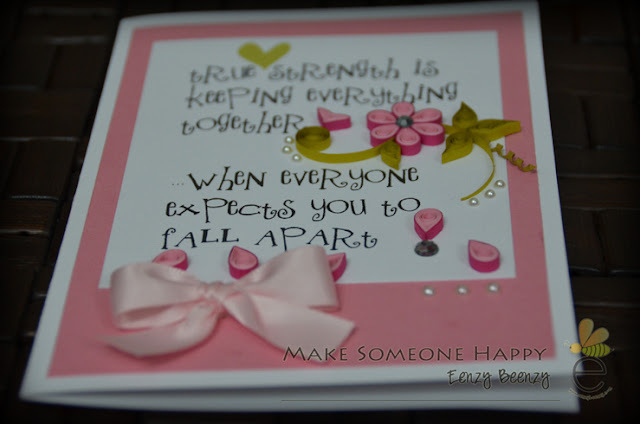 The card says "True strength is keeping everything together when everyone expects you to fall apart"